How can we solve a problem we don’t talk about? How can you ever fix a problem that you don’t even recognise exists? that will weaken an organisation and, ultimately, paralyse its ability to perform to its potential. 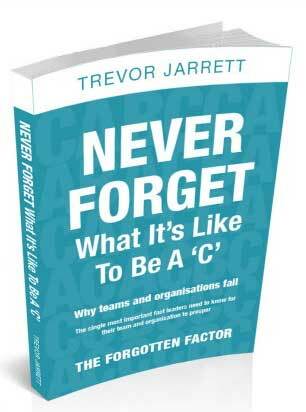 Never before has such a simple game helped organisations and their leaders uncover where they are failing their people. Experiential in its design and short in its duration, the Game allows participants to find the answer they probably haven’t even been looking for! Nevertheless, this book clearly is not just about one forgotten factor; it explores and identifies many key messages that any leader can recognise and put into practice immediately.